Both LACOFD & LAFD responded to a auto fire on 97th St. 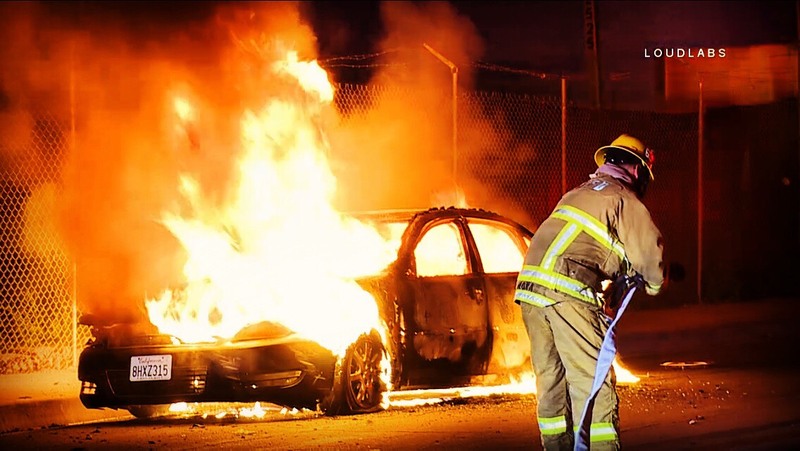 When they arrived they found a fully involved car fire. They both took fire attack and extinguished the flames after about 7 minutes. Small explosions can be heard and bright white flashes occurred when they put water on the fire. Unknown if the vehicle is a stolen vehicle at this time.